So I can focus on reading books I have, I’ve put most of my library holds on “freeze”, so I keep my place in line while others move past until I’m ready to read the book. I finished Enigma by Robert Harris, which was much more spy novel and much less code breaking than I would have preferred. I also read some short stories, one each from three collections. Now I’m reading A Natural History of Dragons: A Memoir by Lady Trent by Marie Brennan. This fantasy novel is written in the manner of a memoir by a woman scientist (Trent) in the natural history field at the end of the Nineteenth Century. The book opens when Trent is a young girl with a deep interest in nature, especially winged things. As she grows up her interest deepens to a scientific obsession about dragons, a little known species. She devotes her life to their study (in asides throughout the book it’s clear she succeeds). I’m about halfway through and enjoying the book, the story itself and both the writing style and the dry wit. Barbara finished Jo Nesbo’s Nemesis and is now nearly finished reading The Skin Collector, a Lincoln Rhyme novel by Jeffrey Deaver. Next up for her is All the Light We Cannot See by Anthony Doerr, which comes highly recommended. I may read it too. Then, also from the library, in one of those rushes of books all at once, is Lifeless by Mark Billingham; she’s trying to catch up on his series, and another book by Jeffrey Deaver. This entry was posted in Current Reading, fantasy, mystery. Bookmark the permalink. Just finished RED TIDE by Niven, Torgerson, & Harrington)post goes up tomorrow). Getting ready to start Scalzi’s LOCK IN. Just started reading Rick Bragg’s bio of Jerry Lee Lewis. Great stuff! Diane’s book club read ALL THE LIGHT WE CANNOT SEE and loved it. I’m back to work so my reading will be severely curtailed especially this week. I’m dealing with students who are trying to register for closed classes that they claim they need to graduate. We’ve been working Registration since Thanksgiving. If you needed a specific class to graduate would you wait until the Spring Semester begins to sign up for it? Agggggh! Everyone loves ALL THE LIGHT WE CANNOT SEE. Picked up a few books including WEST OF SUNSET by Stewart O’Nan and HANGOVER SQUARE by Patrick Hamilton as an ebook. Randy, I think you’ll like LOCK IN. I’m not familiar with RED TIDE. Bill, Jerry Lee was a wild man. George, hey they’re college kids. I guess they either think they can do it later or get someone to flex for them. Patti, Barbara is about to start ALL THE LIGHT… and is looking forward to it. So you’ve been to library sales already? Quick work! Charles, was there more to that? Big item this week was the new Dean Koontz, SAINT ODD, the eighth and final volume in the Odd Thomas saga. Interesting and disappointing at the same time. I’ve gone on record that I compulsively read Koontz even while feeling manipulated. That’s the case again with SAINT ODD. I also read MAN IN HIS TIME, a 1988 collection of Brian W. Aldiss’ best science fiction stories. I agree with you that few people seem to read Aldiss anymore. That’s a real shame. Aldiss remains one of the most literate and innovative writers in the field. I finished up the week with some anthologies and one collection: Asimov and Greenberg’s GREAT SF #19 (covering 1957), T. E. Dikty’s juvenile anthology GREAT SCIENCE FICTION STORIES ABOUT THE MOON, and Volume XI of the collected stories of Theodore Sturgeon, CASE AND THE DREAMER. I’ve also been reading some old copies of F&SF at Internet Archive, finishing the Winter-Spring 1950 issue. Jerry, not a single mystery, that’s unusual, or is it? I seems these days the older SF appeals more than a lot of the newer stuff, though I just got a new book I’m eager to start, a book titled Fluency by Jennifer Foehner Wells, the beginning of a series she’s calling “Confluence”. I’ve read a couple of good reviews. 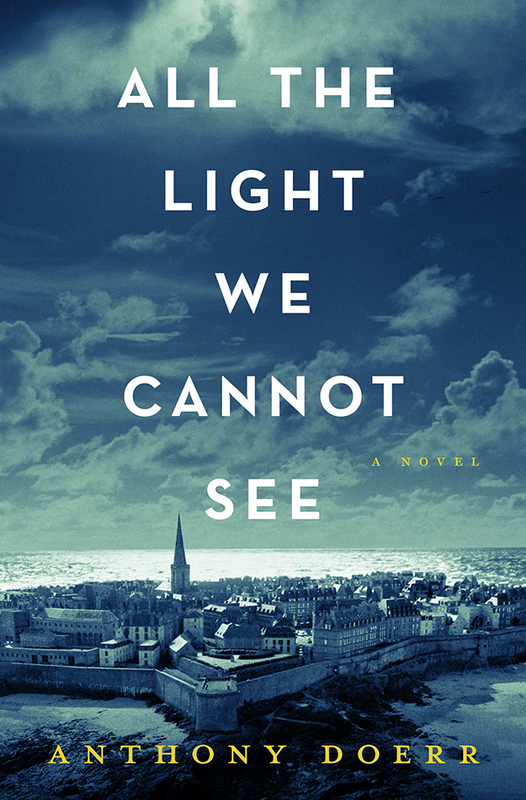 Richard, after your post and comments, I’m tempted to read “All the Light We Cannot See” by Anthony Doerr. You and Barbara read some good books. I’m currently reading “Metamorphosis and Other Stories” by Franz Kafka. Prashant, I read Metamorphosis when I was in college, and honestly, didn’t like it very much. Maybe it was because it was required reading, with a paper due on it, or it may just have been Kafka’s writing, or both, but it soured me on trying anything else by him. I just finished PITCHFORK PATROL, by Will Henry. It’s a cavalry vs Indians tale with a heavy emphasis on character. Very good reading. Bob, sounds like a good one. Is there any particular meaning to the title? A little late but…we were so involved with getting ready for the trip, as well as getting my car in working order, that I really didn’t have a lot of reading time. What I did have was spent mostly on short stories, mainly catching up on old EQMMs (Bill Crider had a fun story last year) and AHMMs. I did finish the next Elizabeth Gunn book about Jake Hines, THE TEN-MILE TRIALS, and this was even more of a procedural than usual. I found it a bit of a slog to get through, to be honest. One new book came in just before we left, CHAIN OF WITNESSES by Phyllis Bentley, the latest Crippen & Landru production, with an introduction from Marvin Lachman. This looked like something you would enjoy too. I brought it with me. It came with the bonus Christmas story/booklet subscribers get free, “Antique Slay Ride” by “Barbara Allan” (Barbara & Max Allan Collins). Let’s just say it was not to my taste and I will not be reading any of the novels in the series. One of the main characters was excruciatingly awful for me to read about. Before we left I put all our library reserves on hold too, though books that are already in the library can’t be held. I made a list to get when we get home.